Here you can see the current threat level to the UK from terrorist attacks and what the police are doing day-to-day to keep the country safe. You’ll also find answers to common questions about our policing tactics and how we investigate terrorism. How likely is a terrorist attack in the UK? The threat level to the United Kingdom from international terrorism is currently ‘Severe’. This means that a terrorist 'attack is highly likely'. The threat to Great Britain from Northern Irish terrorism is ‘Moderate’. This means that a terrorist attack is possible, but not likely. What are the police doing to keep us safe? Our overriding priority is to keep the public safe by working closely with all of our communities. We constantly review our operations and contingency planning, liaising with central and local government, emergency services and other agencies. We also use a wide range of overt and covert policing tactics. Covert tactics, by their nature, are not obvious to the public, but we also use overt tactics such as high visibility policing at a variety of locations. This includes Project Servator, which uses officers who’ve been specially trained to spot the tell-tale signs that someone is planning to commit a crime, including an act of terrorism, to patrol our towns and cities at unpredictable times and locations. Find out more about Project Servator by searching for #ProjectServator on Twitter. We also use Prevent to try to stop vulnerable people from being radicalised by terrorists or extremists in the first place. We use these extra measures for a variety of reasons. For example, it could be as a response to seasonal crime patterns or as a precautionary measure in the light of the current threat from international terrorism. If you live, work or visit our towns and cities, you’ll continue to see a selection of policing tactics used in the future. 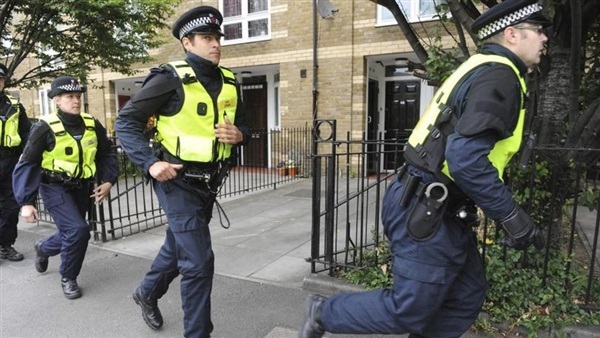 Do police target specific communities when investigating terrorism? No individual is targeted by police because of their culture, faith, race or religion. Our inquiries are carried out under the provisions of existing UK law, which takes into account the human and legal rights of those involved. Terrorist investigations go where the intelligence and evidence takes us. We make every effort to make sure that minority communities are not criminalised or victimised in any way. The bedrock of British policing has always been to work with, for, and on behalf of the communities we serve. It would be counter-productive for us to target a specific community since it is not police actions alone that will ultimately defeat terrorism, but the combined actions of all communities. We need the support and confidence of our communities to improve the two-way flow of information, to arrest and prosecute terrorists and to protect the whole community. Why do police stop passengers at ports? Police officers at ports play a key role in countering the current terrorist threat and maintaining national security. They use powers available to them under Schedule 7 of the Terrorism Act 2000 and adhere to the Code of Practice that accompanies the legislation.